Facebook has had a history of providing users with features to keep them glued to its ecosystem of apps. 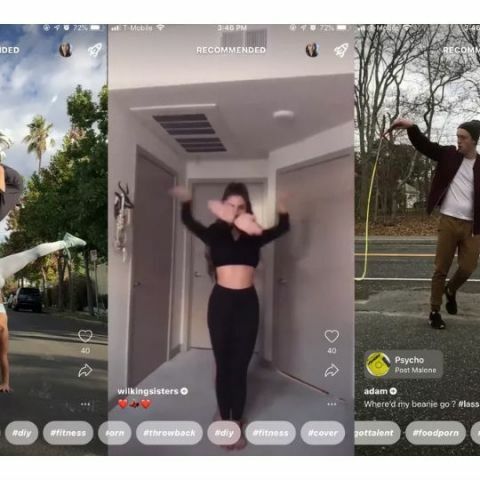 In one such move, the social media platform has quietly launched Lasso - a platform that lets users make videos of themselves dancing and lip-syncing to music. According to The Verge, the move is aimed to retain the teenage population which is apparently moving away from the platform as well as to go head to head with TikTok app that has gained popularity among the youngsters lately. In 2018, only half of teens say they still use Facebook, compared to in 2014, when 71 percent of them said they did, The Verge said. Facebook Product Manager Andy Huang announced the app’s release on Twitter, and later Bowen Pan, the Product Manager for Lasso tweeted about the app. Lasso lets users record short clips like Vines and is available on iOS and Android. “Lasso is a new standalone app for short-form, entertaining videos — from comedy to beauty to fitness and more. We’re excited about the potential here, and we’ll be gathering feedback from people and creators,” Facebook was quoted as saying. Since the app is owned by Facebook, it is integrated with company’s other paas. Users can sign in to Lasso through Instagram or create an account using Facebook, and allow the app to access your profile page, photos, and videos. The apps suggests the hashtags on the bottom of the screen. Users can share Lasso videos as Facebook stories and the support to share them as Instagram stories is expected to come soon. After board games, it's now time for AI to take on Doom! Previously, Facebook had announced a new feature Lip Sync that enables users to lip sync to music videos while doing a live broadcast. There is also another feature that will allow users to include music within personal videos. Facebook says that the options are currently being tested in select markets and will be broadly rolled out soon. The company will also soon start testing options for adding music to Facebook Stories. Earlier this year, short-form video apps musical.ly and TikTok united to create a new global app. The newly upgraded platform, which kept the TikTok name, has a unified user experience, a new logo and user interface, and offers greater capabilities for video creation.